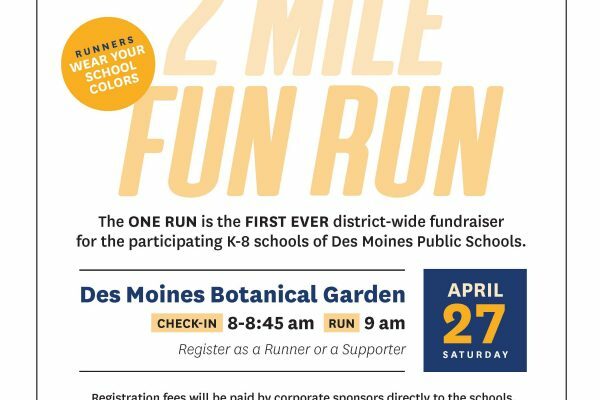 Hanawalt Elementary has the opportunity to participate in the First Annual One Run, the first ever district-wide fundraiser for the participating K-8 schools of Des Moines Public Schools. For the schools, this is free money. All a participant must do is register for the run where you can designate Hanawalt and show up on April 27th. Registration fees will be paid by corporate sponsors directly to the schools. Each participant must designate one school. The more participants Hanawalt has, the more money we can raise for our school. This fundraiser is only a band aid for the need to increase school funding, however it will hopefully bring awareness to this exact need within our community while bringing in something. Why register now? Sponsors want proof that people are participating. 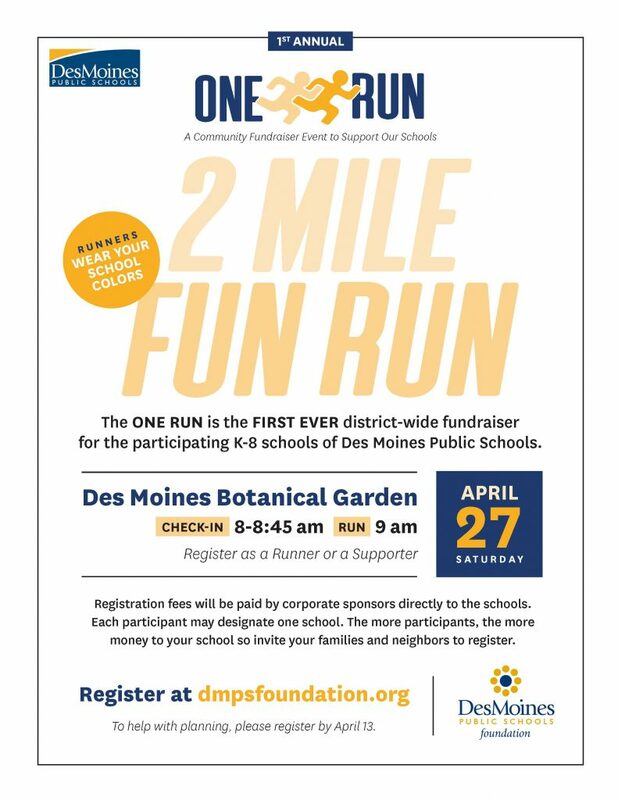 The sooner people register, the more informed the sponsor conversations are, hopefully leading to more money raised for each school. Every participant needs their own registration form. This includes students. Registrants will have to check-in on April 27 to finalize the fund distribution.